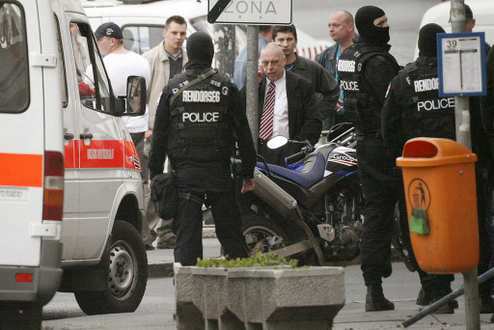 BUDAPEST (Thomson Financial) - An armed siege at a Budapest bank came to an end when police stormed the building, shooting dead a lone hostage taker, and lightly injuring two bank staff that were being held hostage, according to Hungarian media. The police began their operation at approximately 5.30 pm CET, around an hour and a half after the siege began, following several failed attempts to negotiate with the hostage taker. Earlier, witnesses reported hearing a gun shot noise coming from inside the bank, although no one is thought to have been hurt in the incident. One witness suggested the assailant used a hand gun, stolen from a security guard, to fire into a wall before releasing 8-10 customers.